These four types of celebrity apps are currently trending. Ever since the 'Kim Kardashian: Hollywood' made its debut in the app stores, back in the year 2014, a revolution started. This celebrity app revolution was from the result of the smashing success that Kim Kardashian received and shortly after other celebrities followed suit. At that point, the true caliber of a celebrity mobile app was first witnessed by the gaming, lifestyle app and entertainment industry with a high-level magnitude. We are aware of the fact that the celebrities themselves are brands and how these brands are making their way in the Android and iOS app stores. So, now let's have a look at the different types of celebrity mobile applications that are currently trending in the market. As celebrities are becoming more tech-savvy, they are now launching apps that are highly personalized and creative. The emoji mobile apps are relatively new in the market but again the credit has to go to the one and the only Kim Kardashian for introducing another viral trend. 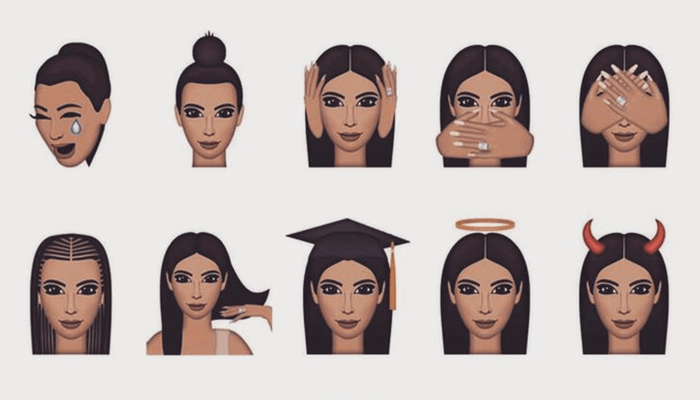 In the year 2015, the Kimoji mobile app was launched that featured a customized set of emojis of Kim Kardashian. In just a couple of weeks, more celebrities including Justin Bieber, Lady Gaga, Rick Ross, Amber Rose also launched their own emoji applications in the market. These emoji apps come with special packs of customized celebrities emojis, these emojis are inspired by certain expressions of that particular celebrity or they can be describing any certain occasion from the celebrity's life events. The price of these emoji packs ranges from $0.99 to $2.99 and the best part is that people love these types of app. Because emojis are used to express emotions which messaging and using their favorite celebrities iconic moments in the form of emojis, makes people more relatable with celebrities. Another reason why a number of celebrities are coming forward with their own emojis is that these emoji apps are comparatively cheaper to build and provides an instant boost to the popularity level of celebrities. The community apps are the applications that act as a social platform where the celebrity and their fans can interact and basically create a huge support community for that particular celebrity. One of the best examples of this type of app is Taylor Swift's app, which is known as the 'The Swift Life'. In such social platform celebrity apps, the users can get to know about the latest news and whereabouts of the celebrities and also gain access to some exclusive photos and behind the scene videos of the celebrities music video. These community mobile apps, allows the users to make a custom user profile from which they can easily comment, share, and like the posts in the mobile app. Taylor Swift’s community app is basically nailing the game because she herself replies to her devoted fans posts and remains fairly active on the social platform. This type of celebrity app is mainly known for weekly event updates and a great to discover new content through daily celebrity update posts. Although, the swift life is a free application it does have in-app purchases in it which ranges from $2.99 for customized emoji packs known as Taymojis to $149.99 for VIP concert tickets. 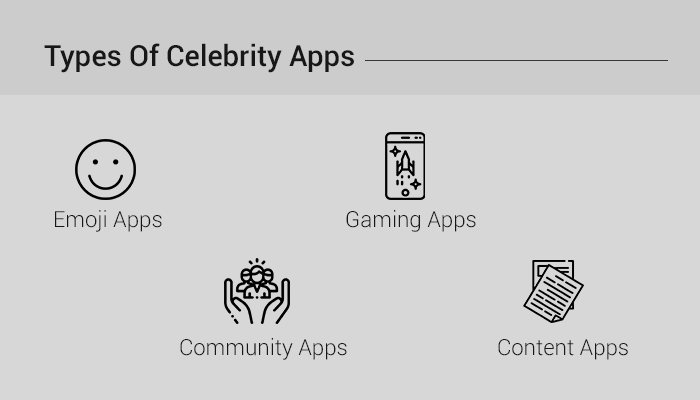 As we have already discussed, the gaming category is where the celebrity apps skyrocketed so let's have a look at some of the best celebrity game apps. Ellen DeGeneres is a well-known comedian who has been in the celebrity business for more than three decades and has gained a following of millions of die-hard fans. Ellen's game called the 'Heads Up' is a simple and easy card game that is super fun to play. 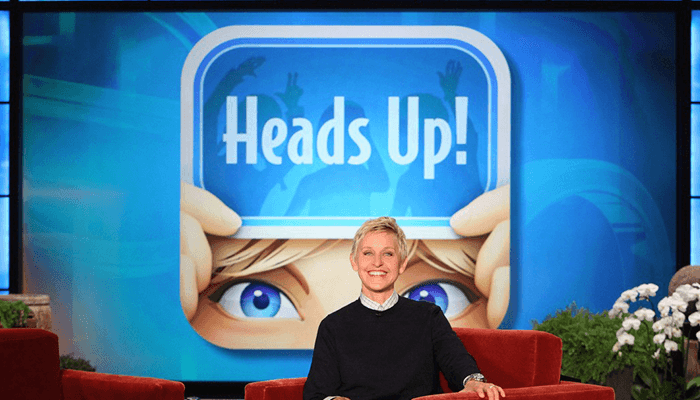 The game of heads up is one of the many games that Ellen herself play with her other celebrity guests on the Ellen DeGeneres show. In this game, one player has to guess the word shown on the smartphone screen while placing it on their forehead and the other player will act it out to help them in guessing the word right. For each word that is guessed right, the player gets a point. Another successful example of celebrity gaming application is the PewDiePie's Tuber Simulator, this game is by the youtuber with the largest number of channel subscribers, Felix Kjellberg also known as PewDiePie. This game is basically a simulator where the end-users can compete and try to become the biggest youtuber of all time. The majority of gaming celebrity games are often free to download but may consist of various paid features that can be accessed with the IAP services. Some of these mobile apps also come with the option of subscription and the price is different for every subscription plan. For example, Kim Kardashian's app has three subscription plans which are, bronze plan for $4.99, silver plan for $19.99 and a gold plan for $49.99 per month. One thing to keep in mind is that no celebrity app can be a success without adding the personal touch of the celebrity itself. Like PewDiePie did his own voiceover for the simulator game, to make his fans more connected to the application. There are several apps that come under the wing of the content application type, now the content that is shared on the celebrities apps is related to the thing that they are famous for. 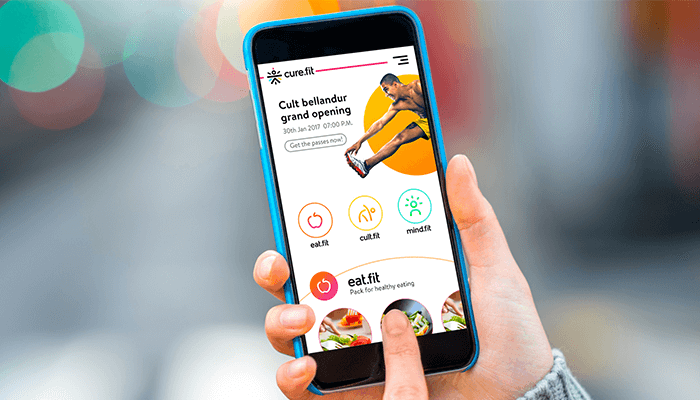 For example, if a celebrity is known for their fitness and health then they will be sharing their tips on health and fitness routines through their mobile apps. Let's understand this with the help of an example, the celebrity mobile app 'Jamie's Recipes' is known to share his cooking instructions in a step-by-step detailed format. The content you will find on Jamie's app is in the form of videos, photos, how to cook guides and ingredient lists, etc. Jamie has two versions of his app, one is the free version and another is a pro version that costs almost $10. An app by the name of 'The Sweat' has been listed as a high performing celebrity content application which is estimated to hit the mark of $75 million in the upcoming months. The sweat app is by the widely famous fitness trainer, Kayla Itsines, who has been training fitness enthusiasts since the time of DVDs. Now, let’s see which other celebrity apps are performing well in the app stores. Hanx Writer: The app Hanx Writer is by the famous Hollywood actor 'Tom Hanks', this mobile application assists you in writing special letters. This one of the free celebrity apps for iPhone and new features are regularly added in the hanx writer from time to time. Tidal: Tidal is not exactly a single celebrity app, it is more like a branded mobile application. So, tidal is a music streaming application where you can find the exclusive songs and albums of popular singers as well as rappers. Some of the artists on tidal are Nicki Minaj, Madonna, Chris Martin, Jay Z, Calvin Harris, Kanye West, and many other award-winning singers. Gotta Go: If you know who Chelsea Handler is, then you might be aware of her level of sense of humor. So, when she first launched her app it was expected to be something related to comedy. But it turned out that her app is a combination of being funny and useful at the same time. With 'gotta go', the user is able to set alarms for calls and messages as a reminder to help the user. Kendall & Kylie: The mobile app that was introduced by the Jenner sisters were immediately accepted by the majority of people. The interesting thing about Kendall and Kylie's app is that is a huge competitor to their sister Kim Kardashian's app. The main difference between these two mobile applications is that with Kendall & Kylie app the user is allowed to make his/her own story instead of following to path of their sister's life. 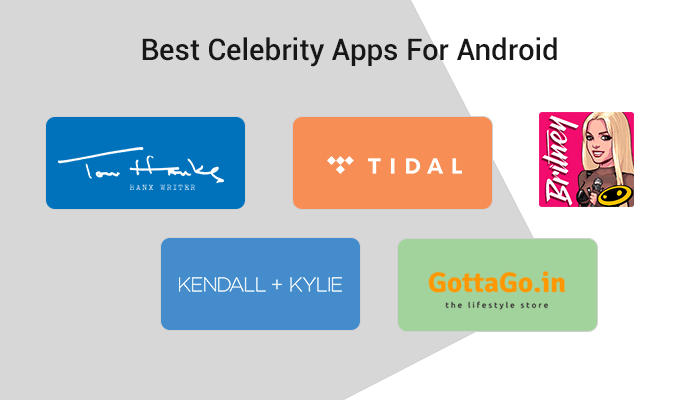 It is one of the top-ranked celebrity apps for android. American Dream: The American dream app was introduced by the widely known American singer Britney Spears that quickly rose to fame during her early days as a Disney star. This mobile app portrays an interesting image of life as a pop star in America. In the app, the users get to handle the meetings with their manager and teams. Here, you can also create your very own songs and then organize the music events yourself. These are some of the best celebrity mobiles apps for Android and iOS users that you should definitely check out. Also, we would love to hear what you think about these celebrity apps, just leave a ‘Comment’ in the section down below by the name of your personal favorite celebrity app. We hope that with this article, we have shared some important insights related to celebrity mobile apps and the different types of celebrity apps. If you want to keep updated with more such interesting posts then don’t forget to click on the ‘Subscribe’ icon of MobileAppDaily. PREVIOUS Why Is Apple Watch Series 4 The Talk Of The Town? NEXT How To Make A Mobile App More Addictive?